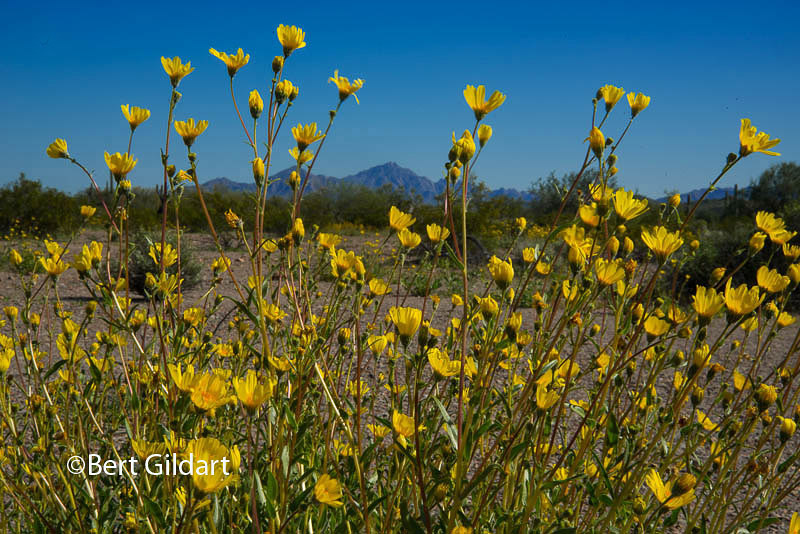 ©Bert Gildart: As promised (at least on my Facebook account), we’re posting images of the magnificent wildflowers that winter rains seemed to assure. It’s a sudden transition, but it’s happening right now. Just outside the campground proper, a number of flowers have reared their heads. 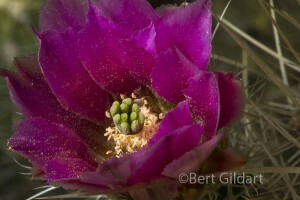 Along the Perimeter Trail, we’ve seen Buckhorn Cholla, Hibiscus, and the Brittle Brush. Sadly, some of this beauty has been off limits to visitors until this past September when it was finally deemed safe to open. Because of the vast amount of drug — and just plain human — traffic passing through this exact same area, over 60 percent of the park was closed in 2003. During those 11 years vegetation was trampled and the endangered pronghorn was inhibited from expanding its range. Park officials recognized the travesty and found funding was now available to bring in the manpower necessary to control this flow. Last year funds became available and the Border Control was increased from about 50 officers to 500. 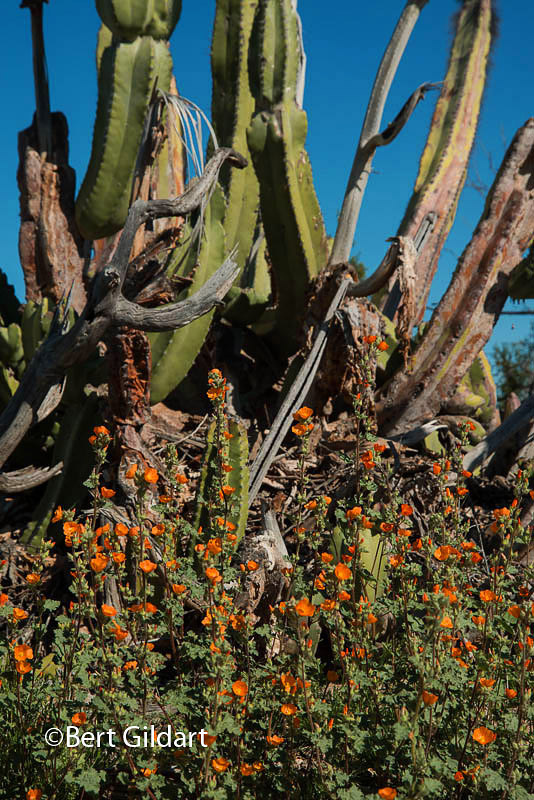 As a result, the entire park has reopened, and nature has responded to the enforcement that followed and already nature seems to be reclaiming itself. 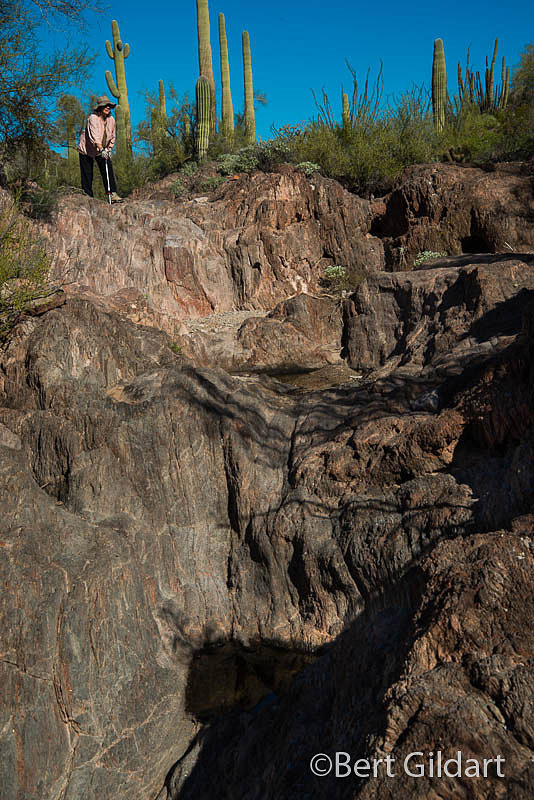 Just a few days ago one of the volunteer park interpreters spotted the rare Sonoran antelope in the area Janie and I hiked — the Red Tanks Tinaja. And two days ago, though signs are posted everywhere asking that you “Please Let It Grow,” vegetation has grown — at least in some places. 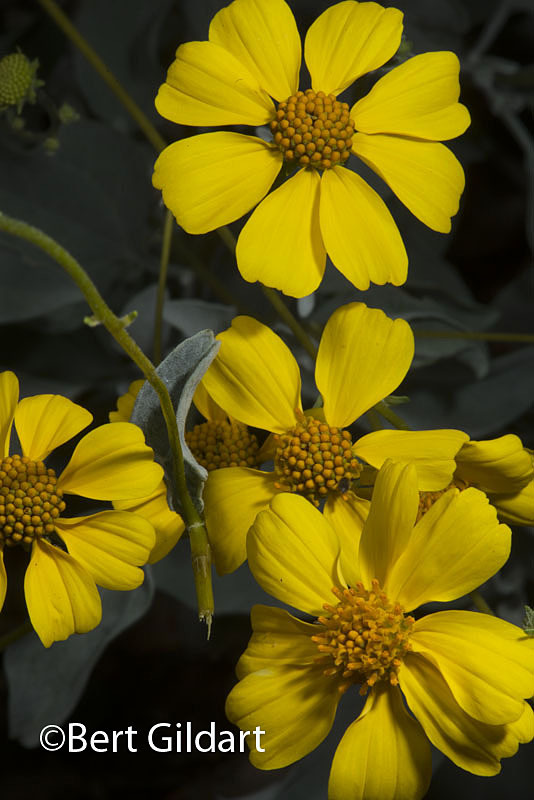 Yellow flowers (the Desert Gold), are now sweeping across the sands that characterize La Abra Plain, the region flanking the South Puerto Drive. From the same region the orange flower (Apricot Globemallow,) has reared its head and, here it is backed by the Senita Tree. 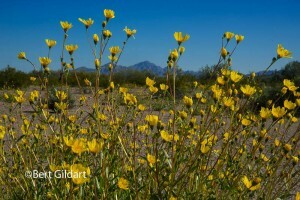 Truly, this is a magnificent area and there is little wonder that Organ Pipe National Desert was designated an International Biosphere Preserve, meaning that it is unique in the word. We’re delighted to be here. This entry was posted on Sunday, March 22nd, 2015 at 2:28 pm and is filed under National Lands, Natural History/Conservation, Outdoors, Photography, Travel. You can follow any responses to this entry through the RSS 2.0 feed. You can leave a response, or trackback from your own site. Thanks, Bert, for your fine report on the beautiful wildflower blooms on display at Organ Pipe Cactus National Monument, Arizona, which are now available for the public to see for the first time since 2003. 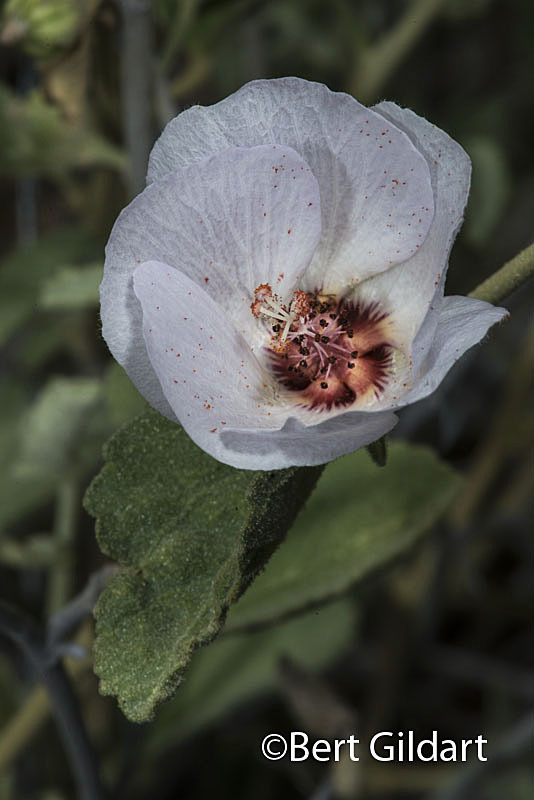 Earlier this month, I reported in my new blog, History Safari Expresso, that the White-lined Sphinx caterpillars are eating the wildflowers at Anza-Borrego Desert State Park! Best to you and Janie!